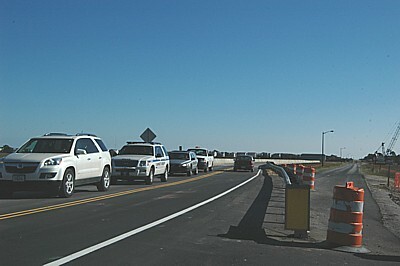 October 22, 2008: The detour opened today. 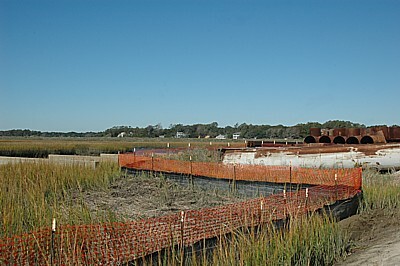 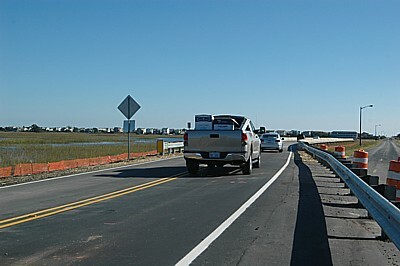 It is comprised of the 800-foot temporary bridge over the marsh and approach/exit ramps on each end. 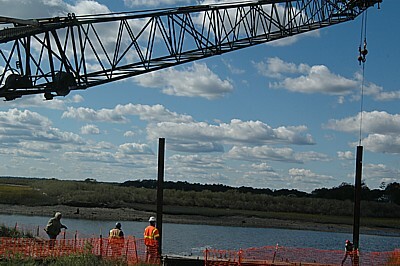 Work on it began in early June. 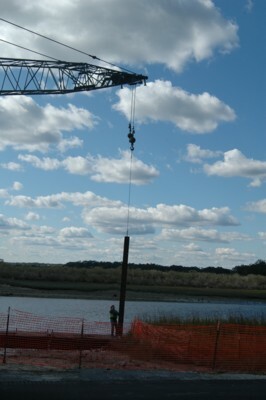 October 28, 2008: Work has begun to install piles for the causeway side of the work bridge. 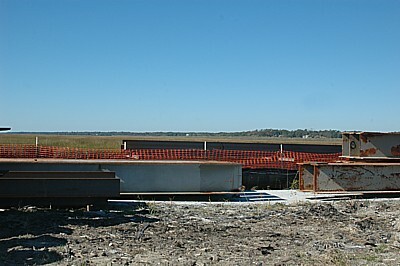 November 9, 2008: Materials are in place for the causeway side of the work bridge.